The K68 is a professional, high-performance gaming keyboard that measures 455 x 170 x 39mm and weighs 1.12kg. As we can see from the images, the keyboard features a low-key and elegant appearance design, and the detachable ergonomic palm rest supports your wrists in comfort for gaming and working. Meanwhile, the solid black housing is dust and drip resistant so you don’t worry about spills slowing you down during any gaming session. 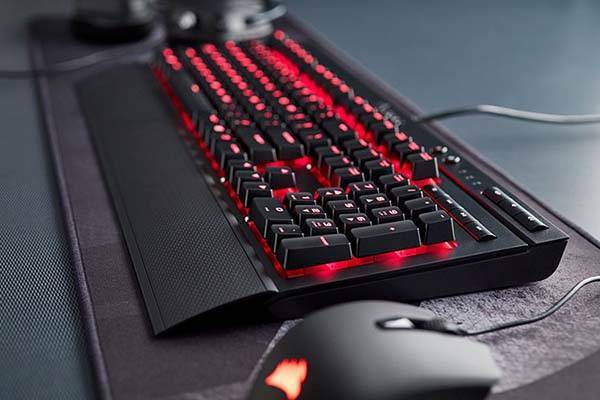 The gaming keyboard comes equipped with Cherry MX Red switches in order to provide fast, tactile and quiet performance, and its 100% anti-ghosting with full key rollover ensures the keyboard always triggers correct commands and simultaneous keystrokes. 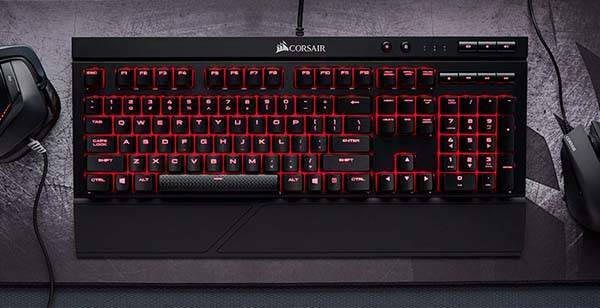 Furthermore, the built-in red backlighting not only keeps every key visible in the dark, but also works with Corsair Utility Engine for dynamic lighting effects and sophisticated macro programming. In addition, dedicated volume and multimedia keys let you adjust audio with ease, and Windows key lock mode prevents accidental Windows and Context Menu key presses. The K68 mechanical gaming keyboard is priced at $89. If you’re interested, jump to Corsair Amazon shop for its more details. BTW, don’t miss BlackWidow Chroma V2 mechanical keyboard and more cool related gadgets by following tags.